Happy New Year and New Discounts! Happy New Year! We're always excited by new beginnings at BookPeople and are enjoying our freshly inventoried store and that post-holiday glow. A grant check from author James Patterson for $6000 also helped get our new year off to a great start. Read more about Happy New Year and New Discounts! In the midst of the holiday busy-ness sometimes it is hard to take a deep breath and truly celebrate the season. But I get glimpses of it every now and then, such as earlier this week while I was driving at dusk towards Lewiston and enjoying the twilight spread across the Palouse. Or early this morning when I was awake before the rest of my family, sitting in a quiet house with a cat on my lap, a cup of tea to warm my hands, and only the lights of the Christmas tree illuminating the darkness. Sometimes the magic moments happen at the store, such as the other day when a woman was trying to remember an old favorite poem and its author, and the man next to her in line recited it completely from memory, eliciting tears all around. No matter what your persuasion, the darkness this time of year invites a turning inward for reflection. To prepare for the solstice and the new year, I find myself cleaning out old paperwork, burning outdated files and any papers attached to bad memories or people it is time to forgive or forget. Yet the darkness also puts me in the mood for socializing, for gathering friends around and celebrating how lucky we are to know each other and care about each other in this amazing place. It is in this spirit that I send out my best wishes to all of BookPeople's friends, without whom my life would be so much emptier. Thanks to all of you we enjoy the immense pleasure of the book business, work with the most wonderful people, share in your joys and troubles, and make the Palouse a worthwhile place to live, and of course, read. One of the greatest privileges I've had as a bookseller so far is serving on the Pacific Northwest Bookseller awards committee. Please see the short list of finalists here. 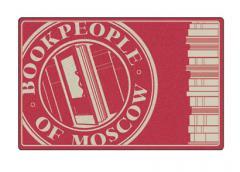 Note that 3 of the finalists visited Moscow for author events at BookPeople just in the last 3 months! I didn't know what to expect but when the hundreds of nominated books began arriving at my house by the boxful I quickly realized into what I had gotten myself! Whether self-published or published by a small or big press, each book had to go up against my own criteria: I looked for books that looked beautiful and felt good in my hand. I wanted, whenever possible, for the subject matter or point of view to be uniquely from the Pacific Northwest region. I gave a second look to books that have sold well, or that were extremely well written yet so far overlooked, and to those that called out to me to be read, because, frankly, sadly, it is impossible to completely read every book that is submitted for consideration. I was tickled when books I had missed were pointed out to me by other committee members, and then turned out to be some of my favorites. As the list was narrowed to the top 30 and then to the short list of 15, by each of us awarding points to the titles on a spreadsheet, I thought to myself, will I be proud to share this book? Is this author someone I want to encourage? Committee members probably asked themselves different questions - insuring a diverse list. Choosing the winners feels, I suppose, like choosing which of your friends you love the best. Really, you love them all, for differing reasons, and you need them all in different ways. Jesica and I had the privilege of attending the Pacific Northwest Booksellers Association conference in Tacoma last week, and we're still a little high after our experience--high on that charge of energy that we get whenever we're in close proximity with booksellers, publishers, and authors, and realize anew that these are really the best people in the world with whom to work. Book People are passionate, idealistic, fun, optimistic, creative, and interesting. I still get, truly, a little frisson on the back of my neck when I think of Azar Nafisi (The Republic of Imagination) and her emotional speech about democracy, books, ideas, and America. Then there was Marie Lu (The Young Elites), describing her first week in the U.S. as a five-year-old Chinese immigrant to the United States, experiencing New Orleans during Mardi Gras and thinking that was typical. We heard Garth Stein (A Sudden Light) talk about how it felt for his bestseller The Art of Racing in the Rain to be banned for the first time just as Banned Books Week got underway earlier in September. We met too many authors to name here and came home with lots of new books to read and share with you in the coming months. The conference experience gives me the confidence to say that our culture has not yet collapsed: we can rest assured that great literature is still being written and published. As independent booksellers we are so proud of our role in getting this literature into your hands. In retail land 'tis the season to prepare for the holidays. I've winnowed down the pile of publisher catalogs in my office that started, I kid you not, at around 4 feet high. This does not include the catalogs we get from our sales reps, an endangered breed, who still handle our accounts in person and take the time to show us what they really love. Plus, every day our email is bombarded with promotional blasts about the hottest titles this minute. It never ceases to astound me. In a store the size of ours, we can only look at a small fraction of the thousands of books that are published by traditional publishers (big and small) each month, and an even tinier percentage of those are ones that we believe deserve a place on our shelves where you will be delighted to discover them. Now that self-publishing is common, you'll hear traditional publishers and reviewers get dissed as "gatekeepers," or "elitist." They don't put their weight behind every novel submission equally, it's true. But booksellers do the same, loving and recommending some books more than others, and people seem to like that. Hopefully, our choosiness saves you an awful lot of time when you're looking for your next good read. We have just celebrated Labor Day by closing the store for a day so all of us can enjoy a holiday from working. My staff certainly deserves to be celebrated on Labor Day. I am so proud of and grateful to them, for making our store a wonderful place to work and to shop, and for being such great members of the BookPeople team. Nick has been working at BookPeople for over two years. Not only does Nick keep the counter and work area from getting out of control, have a friendly word and smile for everyone who comes in the door, handle all the special ordering and receiving of books with aplomb and accuracy, and wrap a mean gift, he can speak French and Russian! I admire his deep love of language and the written word. Mary has been working at BookPeople for over one year. Mary breezes through every kind of situation with patience and poise. Mary can handle whatever you throw at her, including children's storytime, designing a lovely sandwich board for the front sidewalk, organizing the children's section when it needs it (often), and handing out bookmarks at Palousafest, even while sporting longboarding injuries. Mary, too, speaks a foreign language: Spanish. Jesica has been working with us for almost three years now, shopping for all the lovely gifts that we carry, making sure our children's section is the best in the Northwest, and leading storytimes and our children's programs. Jesica is our in-house gluten-free guru, and always has the time to really listen, which is the essence of great customer service! When Jesica, a true extrovert, has a day off the store just seems a little, well, less. Fortunately she loves to be at work. I just found out my son's school has added a new school-wide reading period every day, which made me really happy yesterday when I found out about it, and then, a little jealous. Why won't somebody give me an assigned block of time each day wherein I am supposed to do nothing but read? You would think having a bookstore means a lot of reading time, but alas, it's not so. I am lucky to get a few minutes at bedtime before falling asleep. If it weren't for vacations, during which I read multiple books a day, I'd feel quite deprived. That's the thing about being a grown-up, I guess. We have to tell ourselves what to do. I'm pretty good about making myself do all the boring required stuff. Do I ever not brush my teeth? No. Do I ever forget about feeding the cat or hanging up the laundry? No. But what about those delicious fun parts of life? How often do I tell myself, self, today is the day you are going to ride your bike, read an entire book, and procrastinate on that little project for work? It's been months. Far too long. We indies love this stuff, especially as the bully blundered badly recently, misquoting Orwell in a failed attempt to support its position. What's been really fun for me is to see all the various ways in which indie bookstores all over the country responded to the threat to Hachette and its authors, spontaneously creating special Hachette displays, making special offers, and in general moving ourselves above the fray the best way we know how: by getting books into our customers' hands, in our own unique ways. Strength in diversity is a commonly understood principle in so many areas: financially, ecologically, sociologically, genetically... so I wonder why in the corporate world, consolidation and mergers are pursued so relentlessly, why anything that looks like competition must be immediately swallowed up or destroyed? That's the beauty of hundreds of indie bookstores. We're doing our myriad jobs, staying the course, minding our own businesses, creating hotspots of civilization and goodness wherever we are. The giant might swing a mighty club around, marauding all he likes for the spoils of war, but he can't do much lasting damage in a wide, flowery field full of bees and butterflies. Thank you for helping keep the book industry diverse, now and always. So many of us are deep into summer holidays in late July and I myself have been enjoying some time away from work recently. Our events calendar in the summer is accordingly much emptier. The fall events calendar, however, is already pretty full! We are fortunate to have a stellar lineup of authors confirmed and I'm so excited I can't resist giving you a sneak peek. We will be adding more details about these readings and authors to our events calendar on the website over the next few weeks. In August, Malcolm Brooks of Missoula, Montana, will be sharing with us his debut novel, Painted Horses. The reviews have been just great and I am excited to read this book this coming weekend. We had the opportunity to meet Malcolm at a conference earlier this year and are so looking forward to getting to know him better. In September, Anthony Doerr of Boise will be reading and discussing his New York Times best-seller, All the Light We Cannot See. If you've talked to me this year, you've probably already heard how much I love this novel! In October we welcome Pete Fromm, the great Montana author of one of my all-time favorite nonfiction books, Indian Creek Chronicles. Pete's newest novel, If Not for This, comes out in a few weeks, and another of his recent novels, As Cool As I Am, has just been made into a film. And finally, in November, we welcome Molly Gloss and Carol Cassella. Molly's latest book is Falling From Horses. I remember reading her amazing novel Wild Life and am excited to finally meet her. Carol, author of the book club fave Oxygen, will be reading from her newest book, Gemini.